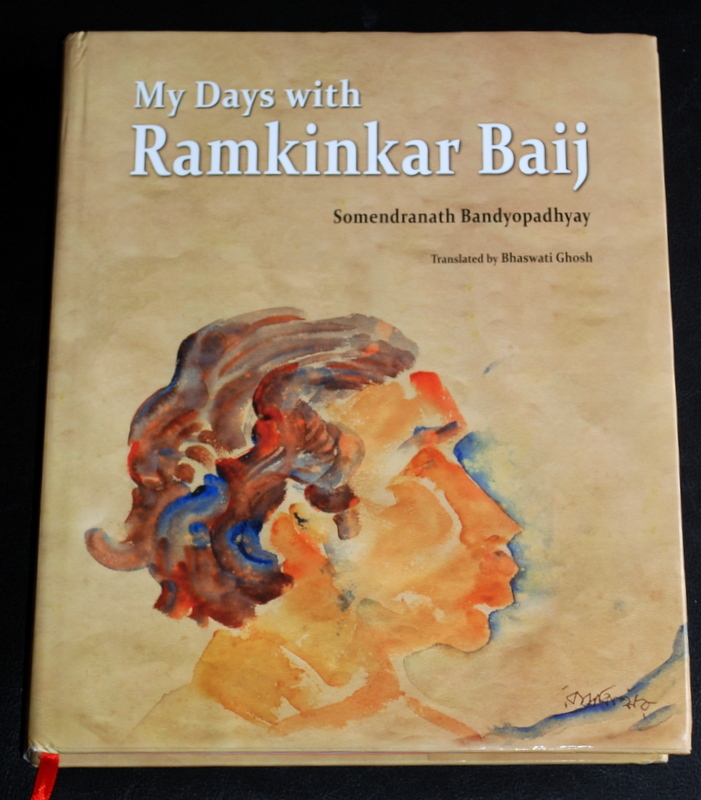 The other jewel that has emanated from the Niyogi stable is the absolutely endearing publication My Days with Ramkinkar Baij by Somendranath Bandhopadhyay. Published in collaboration with the National Gallery of Modern Art (NGMA) in time with the huge exhibition on India’s finest sculptor, curated by one of his students, the effervescent sculptor of no mean achievement himself, K.S. Radhakrishnan, the book is a delight. Translated to great impact from Bangla by Bhaswati Ghosh, it captures the moments from his life, the times, the works he lived for and more. Translations tread the tough path of either being over simplistic or losing the flavour or worse, both! But after a long time, one has come across a translation that falls in no such trap, but probably enhances the original. His works are part of one’s cultural heritage and have been a part of my growing up years — be it the Yaksh and Yakshi outside the Reserve Bank of India in New Delhi, or the Saraswati in the Modern School New Delhi or the large number of works that dot Santiniketan, the extensive collection with NGMA, a few works with Sankho Chowdry, Baij has left his stamp — indelibly. Often coffee table glossies are accused of lacking depth, but this book uses the medium of the coffee table to best advantage wherein the works are shown in their glory and the text captures the creator. There must have been many moments while writing the book when Bandhopadhyay must have had to sift through a deluge of memories, considering their long and very close association. Yet he does a fabulous job of not mincing words and has tried to be true to his memories. The one subtext that runs through the book is an unsaid one: The portrait pictures of Baij over the years. From a handsome young man well into his twilight years, where he seems almost half crazed, they are all there. The fascination with Binodini, and the varying interpretations make one smile. The Shantiniketan style of water colours, the dramatis personae in Baij’s life including his beloved Mastermoshai Nandlal Bose, they are all there. For anyone interested in Bengal art, sculpture, or life of Indian painters, or India’s modern heritage this is book that is a must read. I, for one, found it unputdownable. For getting close to the man, and to savour the delights of his company, however, one might have to turn to what is virtually a diary written by one of his students, Somendra Bandyopadhyay. Translated from the original Bengali into English and published under the title, My Days with Ramkinkar Baij, the book gets the reader up, close and almost personal to this maverick figure even as one gets to see, as put together by a former pupil, Radhakrishnan, a very large number of his works – sculptures apart, his paintings and drawings – that figure in the account. Ramkinkar comes alive in these pages. All kinds of figures one encounters in the book – almost naturally, the dominant figures of the Tagores, Rabindranath and Abanindranath; Nandalal Bose, the Mastermoshai; colleagues such as Benodebehari Mukhopadhyay; students like Satyajit Ray, Jaya Appasamy and Dinkar Kowshik and Sharbari Roychowdhry; visiting art historians like Stella Kramrisch. Recorded here are also countless discussions in which Ramkinkar speaks of the western artists whose work he was well aware of and admired – van Gogh, Rodin, Epstein, Henry Moore, among them – and the work in the Indian tradition that he got to know intimately through his travels in the country. It is all a wonderful mosaic of people and events. But what draws me to the account, more than anything else, is the humanity of the man and his gentle ways that come through. Equally, the way he appears so deeply bonded to the truth of the Earth. Lalon says: In this life, I couldn’t see what caste looks like. But what’s the decree for women then? But how do I recognize their wives? The account is, however, not all sentiment and agitation of the heart. There are earnest discussions, including those about the merits, even the necessity, of learning by copying, about Mastermoshai’s unique, if simple methods of teaching, the complexities of portraiture and the joy/pain of discovering one’s own mistakes. But strewn all over the account are also great moments of hilarity: laughter fills the air, the quality of bidis becomes the subject of a virtual dissertation, fun floats. But what lies underneath everything in the final analysis is lyricism and the ache of loneliness. Like Bandyopadhyay who was by his side for so long, one can almost hear Kinkarda hum to himself from time to time: “bone jodi phutlo kusum, nei kaeno shei pakhi?” When the flowers are blooming in the garden, why is that bird not here? Thank you so much, Lopa, for your kind words.